The faculty in the Clinical Laboratory Science (CLS) program at Louisiana State University Health (LSUH) Shreveport School of Allied Health Professions sought to identify variables to best predict students' success on the ASCP Board of Certification (BOC) Examination for Medical Laboratory Scientists (MLS). 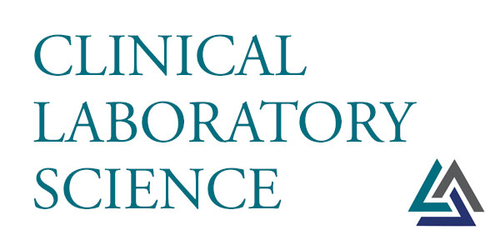 In January 2015, the CLS program began purchasing access to the MediaLab, Inc. Exam Simulator for all senior students. Prior to utilization of Exam Simulator, the average BOC score at LSUH was 505. After student access to Exam Simulator, the average BOC score increased to 528. Multiple variables were considered as predictors of success on the BOC; including all Exam Simulator sessions attempted by students, MLS computer adaptive practices tests on Exam Simulator, LSUH grade point average (GPA), and overall GPA. Results from regression analysis revealed that the level of difficulty (β = .459, t(32) = 2.92, p < .05), mean score (β = .366, t(32) = 2.23, p < .05), and highest score (β = .484, t(32) = 3.13, p < .05) on the MLS computer adaptive practice tests were significant predictors of BOC scores. Likewise, graduates' GPA at LSUH was also a significant predictor of BOC score (β = .426, t(32) = 2.75, p < .05). The findings of this study revealed the importance of providing computer adaptive practice examinations for senior students prior to taking the ASCP BOC examination.